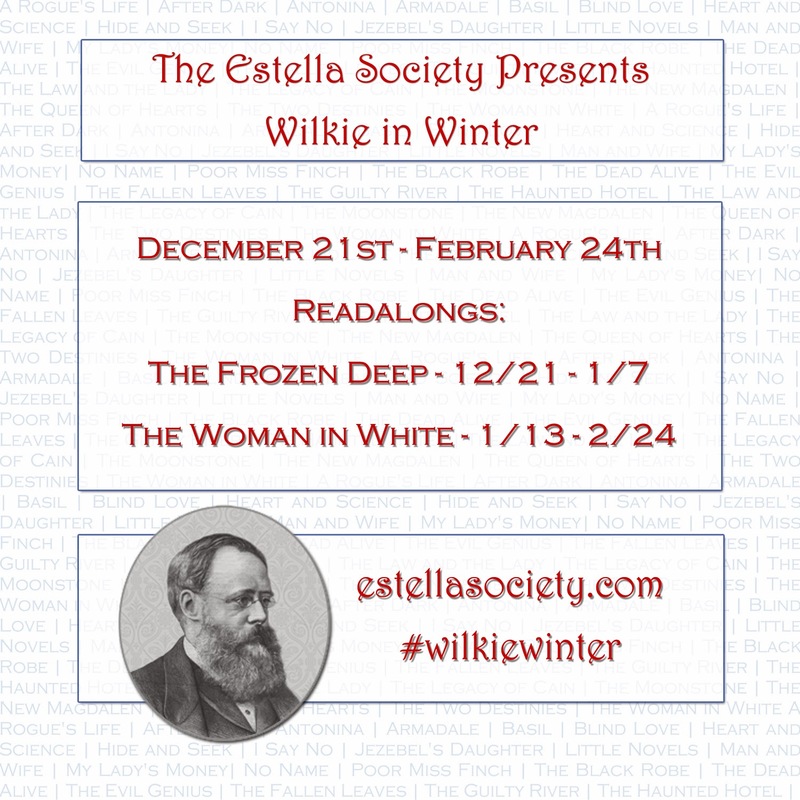 Estella's Revenge: Wilkie in Winter!!!! Readalongs and Stuff! Wilkie in Winter!!!! Readalongs and Stuff! 1. A readalong of The Frozen Deep from December 21-January 7 with discussion at the end. Wilkie is getting a lot of love! I wanted to join your event as well, but I'm afraid I'll burn myself out. Eek! Been wanting to read Woman in White for a while so I'm in for that one. Will see if the library has The Frozen Deep. The library doesn't own a copy but it's free for Kindle. Whoop! I don't think I've ever read any Wilkie. Both of these books sound fantastic, and I hope to read both of them. I love Wilkie Collins and The Woman in White is one of my favourite books! I haven't read The Frozen Deep yet so I might want to join in with that one. Great!!! I'm glad you're considering it, Helen! YES PLEASE. I will read my nice copy of Woman in White, with the watercolor illustrations. Oooh, pretty! I have a Penguin English Library edition that's calling to me. Maybe I'll join in on one of these! Awesome! I hope you have a chance, Rebecca! 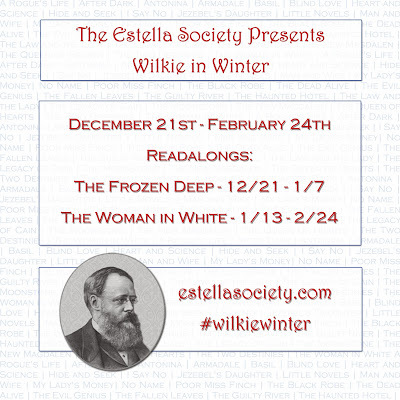 I may try to join The Frozen Deep - haven't read that one and would love to read more Wilkie Collins! I have The Woman in White and would love to join you!